I’m one of those people who has at least one dream every night. Usually I average two or three, and I typically remember most details from them. For the most part, I have good dreams, but there was a solid two weeks where I had nothing but nightmares. My current living situation has my husband and I living with my parents until the new year, and my dad watches the news nonstop. What has been on the news in the past couple of months? ISIS, beheadings, Ebola, plane disasters (in the local news), MH370, shootings (local and national), Ferguson, serial killers (local), and so much more. I am not ignoring the importance of these news stories; Ebola is killing thousands of people abroad, ISIS is a horrible organization that is also killing thousands of people, there are still almost 300 people missing in the MH370 disappearance, one local father is missing in another place tragedy, racial injustice and racially-motivated deaths are still prevalent in our society. I understand the importance of bringing awareness to these and other issues. These are important issues. However, I have problems with how these important stories are written and presented. When these stories are sensationalized, dehumanized, and blasted all over the television and internet, they miss out on the important conversations that need to happen about them, and they create hype and terror. Here’s how the news affected me: I had two weeks of nightmares where planes crashed into my home, I was beheaded, and I was attacked in multiple ways. As happy as I am about the fact that I am alive and well, I would rather be having conversations about these issues rather than nightmares. I expect the news to tell me what I need to know, not to scare me. The news should be a place I go to learn about what’s happening in the world around me and to hear important conversations about the root causes of some of the issues. I also expect the news to tell me what I can do to help improve the world around me. I believe that every single person can make a difference in the world, as long as they are equipped with knowledge and (sometimes) given examples on what they can do to help. For example, Babar Suleman, a local father and pilot, went missing after the plane piloted by his son, Haris, crashed during a world-round trip to raise money and awareness for education in Pakistan. I attended the launch party for the pair, and many of my friends knew them personally. 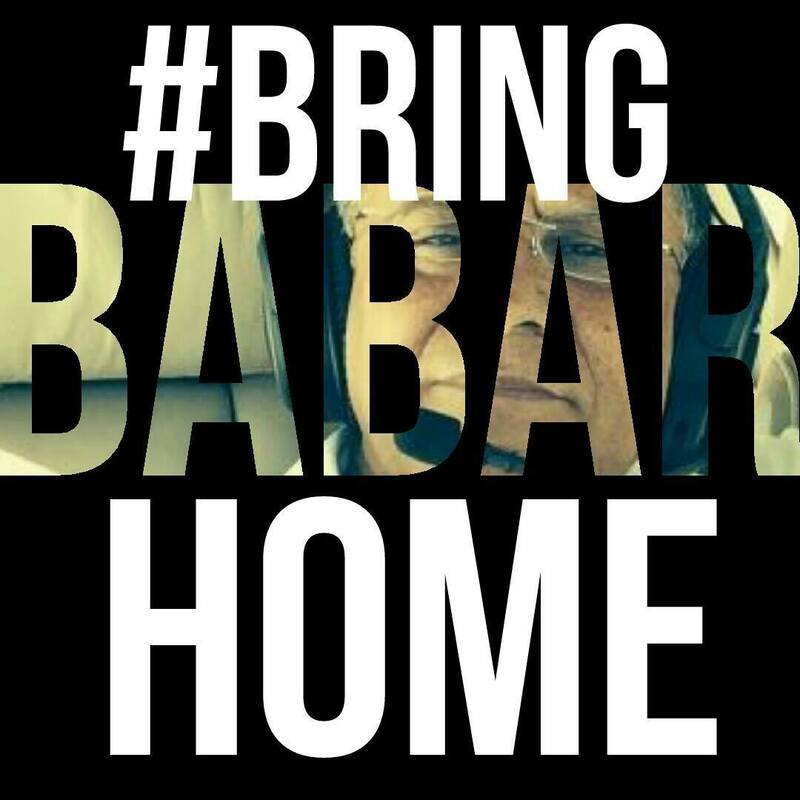 After the crash, the family launched a #BringBabarHome campaign to keep the search for Babar and the plane going as long as possible. It was a fairly successful campaign, but the searchers were not able to recover Babar. Hopefully, the searchers will continue trying to find the wreckage and bring peace of mind to the family and friends of Babar. My point is that people have power, and there is power in numbers. With a hashtag, we were able to encourage and support the searchers for the plane, we were able to bring further awareness to the Seeds of Learning campaign they were flying for, and it gave people here, on the other side of the world, the power to make change. No, it wasn’t the greatest or most successful campaign to ever happen; it didn’t change the world, and it hasn’t yet brought Babar back, but we took up the cause because we were empowered, not scared, by the media to do something. That is what needs to happen with all of these issues. The media should educate the public in an unbiased and helpful way. They shouldn’t search for what will bring them the most viewers. To be frank, I honestly would watch more of the news if they did hold conversations about the root causes of violence, poverty, etc. and what we can do to help. I get that the media wants us to know what happened, but instead of telling us what happened and moving on to the important conversation, they continue to repeat what happened in different ways. That doesn’t educate me; it makes me sad, angry, and feel completely helpless. The media should simply do the job of sharing information. Why the media chooses to present news in a way that gives some nightmares is beyond me, but it won’t stop me from trying to learn about the important issues in the world and what I can do to make things better. However, I might have to turn off the news first. Of course, this is just how I feel about the news. If you have anything to add to the conversation, I’d be more than happy to read it. Keep Reading!